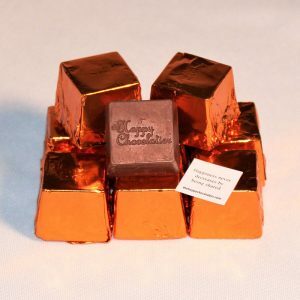 If you would like to share some chocolate happiness from The Happy Chocolatier on a regular basis, consider our Chocolate of the Month Club as a gift. Each month, we’ll send a Sampler selection of handcrafted chocolate truffle Cubze. 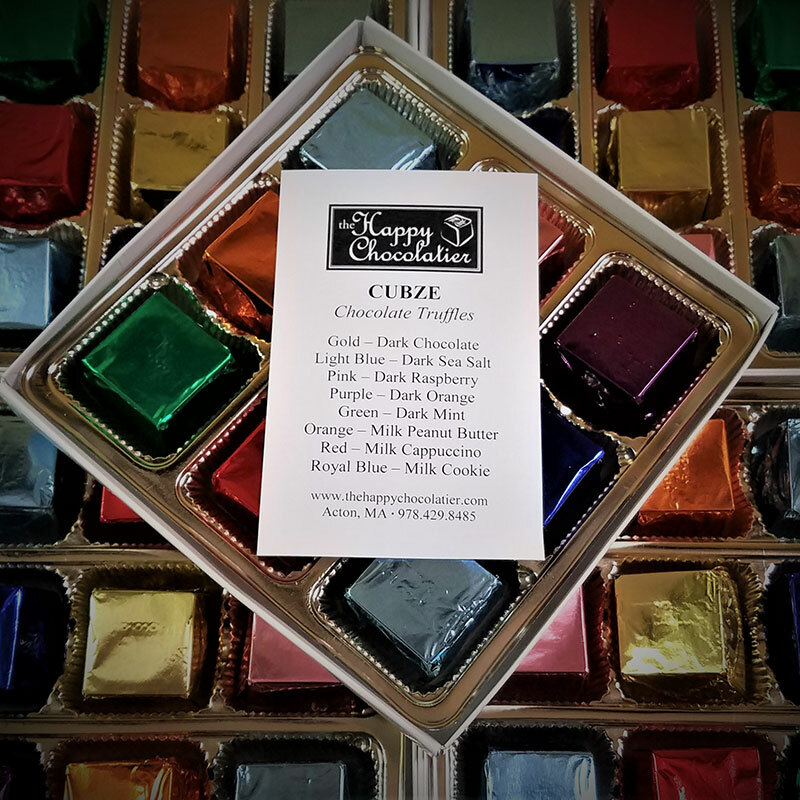 Each Sampler contains nine assorted truffle Cubze and weights approximately 7.6 ounces. 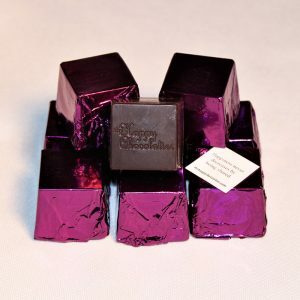 Imagine, each month your gift recipient can enjoy our delicious chocolate truffles and the inspirational happiness sentiments wrapped into each piece. Deliveries will begin the month you order or you may specify which month to start. 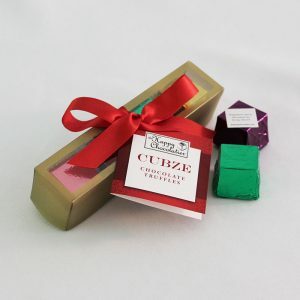 The Chocolate of the Month Club takes a summer break for June, July and August, however shipments resume in September. 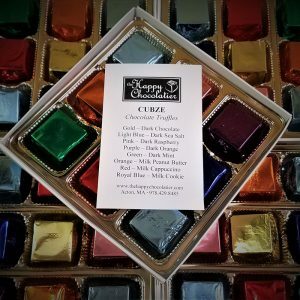 This is explained in our Chocolate of the Month Club welcome letter that the gift recipient will receive in the first shipment. Price includes standard ground shipping. Fees for warm-weather shipping not included.